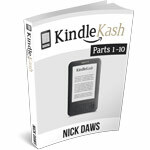 Want to learn more about what's inside the Kindle Kash course? Inside its ten parts, you'll learn how to devise, write, edit, publish and promote an e-book on the Kindle platform - and make a lot of money from it, too. The guide covers both fiction and non-fiction e-books. It also reveals how to publish your e-book to other platforms such as the Apple iPad and Nook, thus potentially multiplying your profits many times over. Each chapter concludes with a list of practical action points, helping you apply the information to your own project. The many benefits of being a published author. The one thing you MUST NOT DO after completing your first e-book. 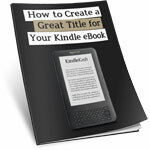 Three ways to leverage your Kindle publishing experience and boost your e-book profits SKY HIGH! The publishing revolution is here - and you cannot afford to miss out. Embracing this change now means a fresh boost for your career, true control over the publishing process, and an increase in royalties like you've never seen before! And you can take advantage today, using the Kindle Kash course. All personally guided by one of the world's most prolific authors, Nick Daws. How much would you expect to pay to be shown ALL of these techniques? 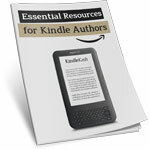 The entire Kindle Kash course costs just $27. That's less than FIFTEEN MINUTES of consulting time with Nick directly. And in return, you'll uncover ALL of the techniques listed here - and shown by Nick precisely how to publish to the Kindle, and the greatest methods of raking in the royalties! And that price also includes a full support package too, so that we're always on hand to answer questions if you need us. We'll send you the entire course, handcrafted by Nick Daws, for just $27 - all as an instantly downloadable PDF. We know that you'll love the Kindle Kash course. It'll open a whole new world of opportunity, and I know that you'll always thank the day you decided to embrace the change - and took advantage of the new publishing revolution. But we'd like to sweeten the deal even further. In addition to the main course, we'd like to deliver you a further SIX bonus reports, to help you seriously rocket your work with the Kindle! Curious about discovering the Kindle Kash course? Here's a quick and simple guarantee, to help make your purchase absolutely risk-free. 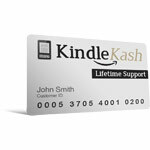 Please, try out the full Kindle Kash course for a full 14 days. If you're not absolutely THRILLED at the content - and excited about how it will change your writing life - simply let us know. We promise we'll refund absolutely EVERY penny you paid. 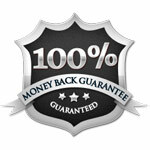 No other course comes close, or offers such a solid guarantee. Don't get left behind. Make the decision to get started on the Kindle platform now. The publishing world is witnessing its biggest revolution yet. 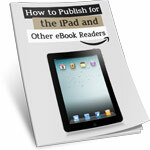 The Kindle platform is revolutionizing publishing, and you need to be in there now. Why would you want to miss out on 70% royalty rates, greater control of your work, and a captive audience, all wanting to buy? 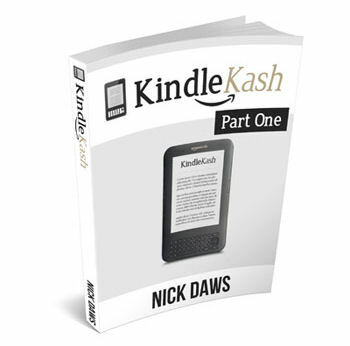 And the key to getting started with all of this, is Kindle Kash - the ultimate course in getting published on the Kindle, by best-selling author, Nick Daws. 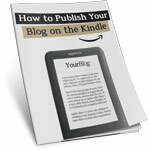 Let Nick Daws show you how to get published on the Kindle! Covers everything from "freewriting" techniques, to formatting for the Kindle, to promoting your e-book - and more. This course shares EVERYTHING you need to become a best-selling Kindle author in absolute record time! Instantly downloadable in PDF format, in 10 easy-to-read parts. Take your electronic publishing to the next level! We're throwing in six bonus guides with your purchase. You'll also receive "How to Publish Your Blog on the Kindle", "50 Great Ideas for Kindle E-Books", "How to Publish Your Book on Lulu", "How to Create a Great Title for Your E-Book", "How to Publish for the iPad", and "Essential Resources for Kindle Authors". PDF format. Got questions? Don't worry, our support team is on hand. Just mail us, using the special link in your welcome e-mail. We're always here to help - and ensure you earn a fortune, selling on the Kindle! We know you'll love the Kindle Kash course. That's why we give you a whole two weeks to try it out. If you're not thrilled, just let us know - and we'll refund every cent you paid. All of this, for just $27. That's less just the cost of a decent lunch for two. Or, to put it another way, that's under 13 cents per day, over a year. Instant download by in PDF format. Local taxes may apply. Click to order your copy NOW - and thanks for visiting our site! PS. If you don't order now, you'll probably miss out on this publishing revolution for good. Don't risk it. Take advantage. Get published. Get profiting. Get Kindle Kash. Click here.